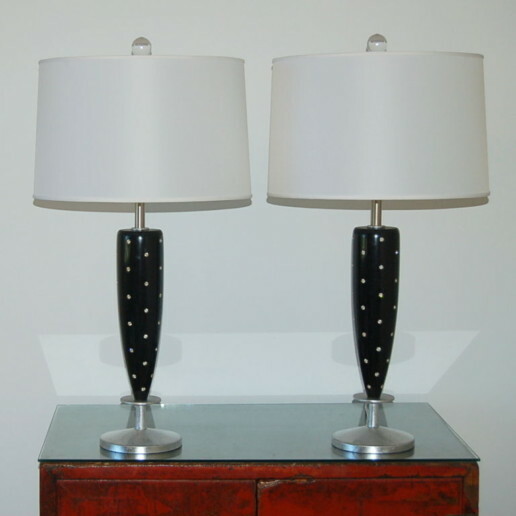 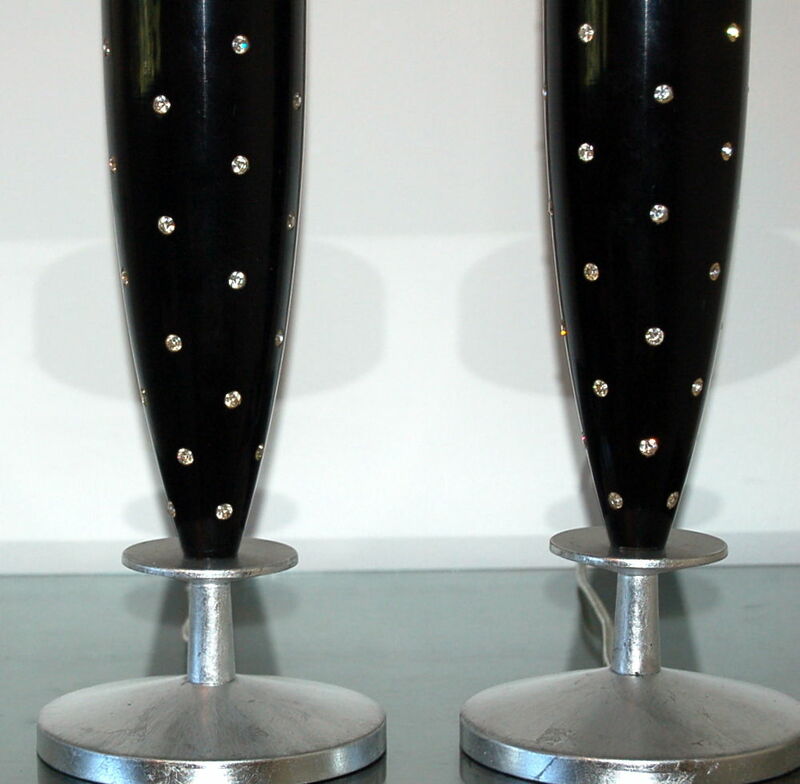 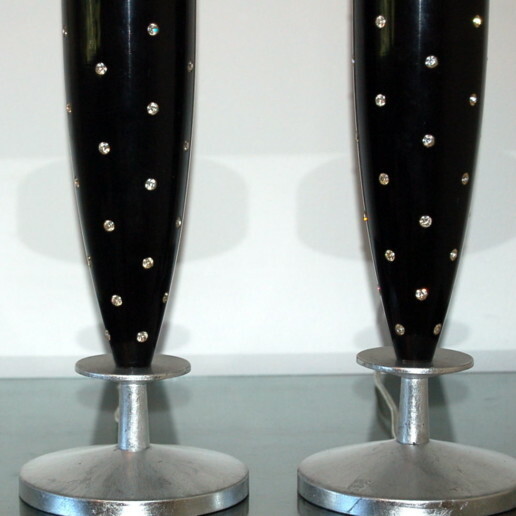 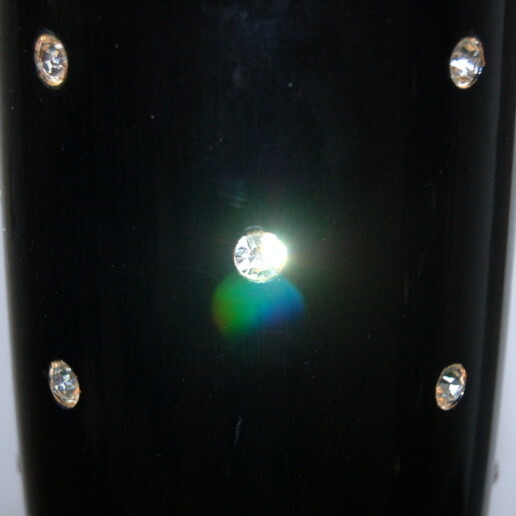 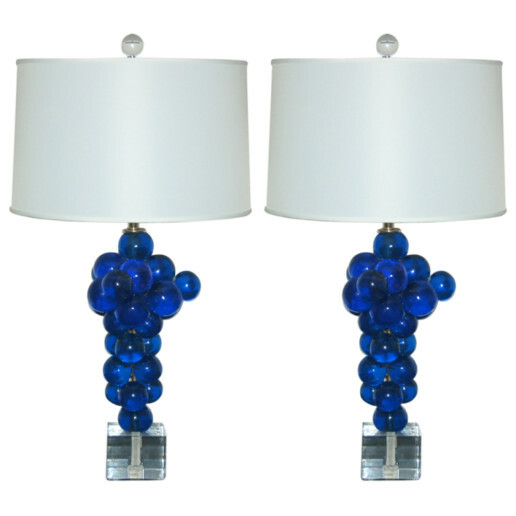 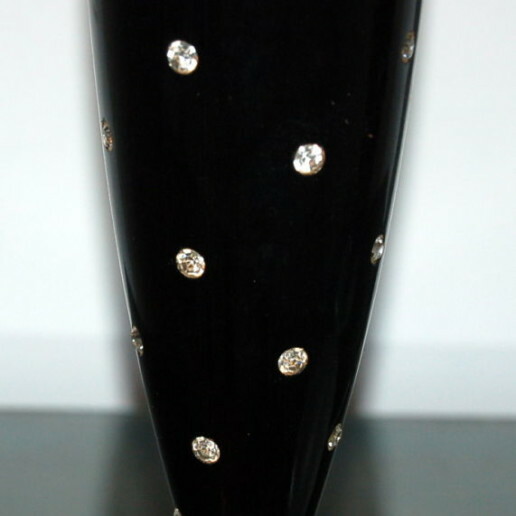 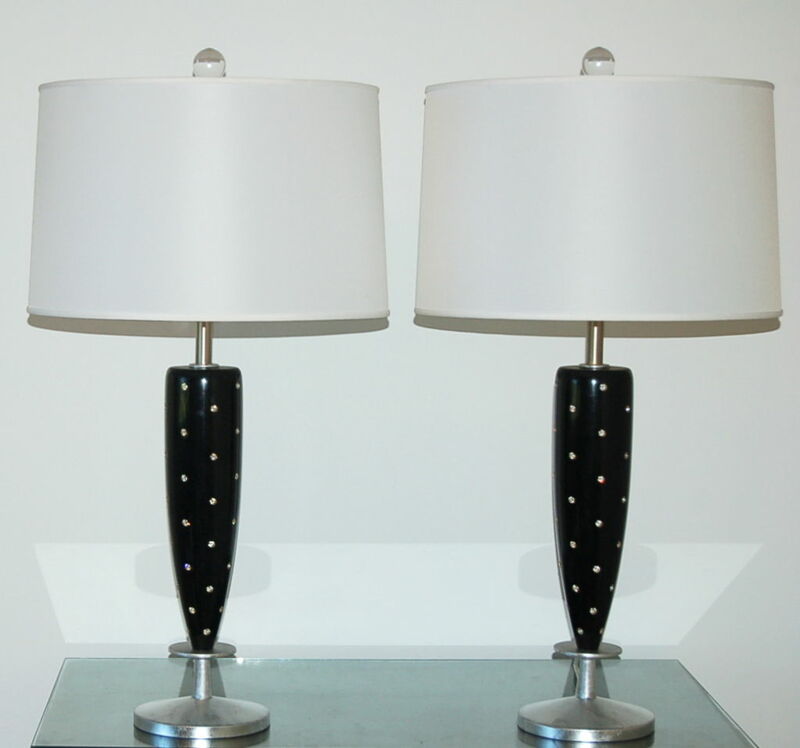 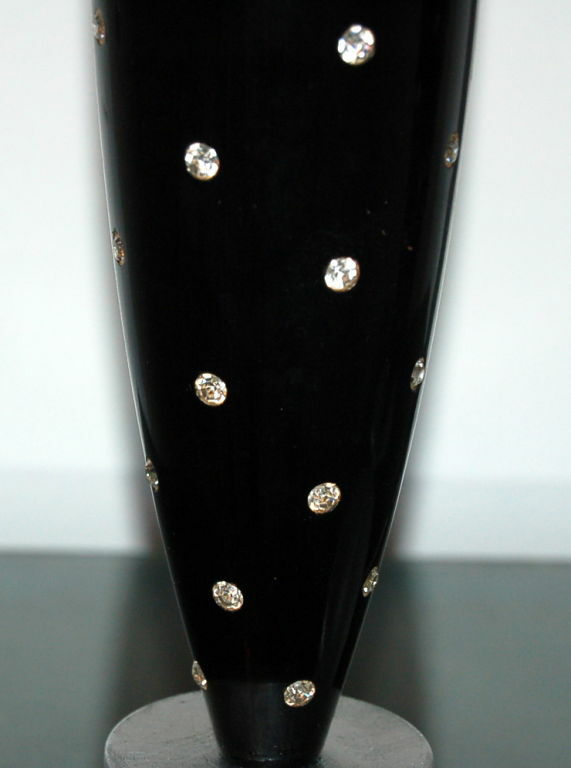 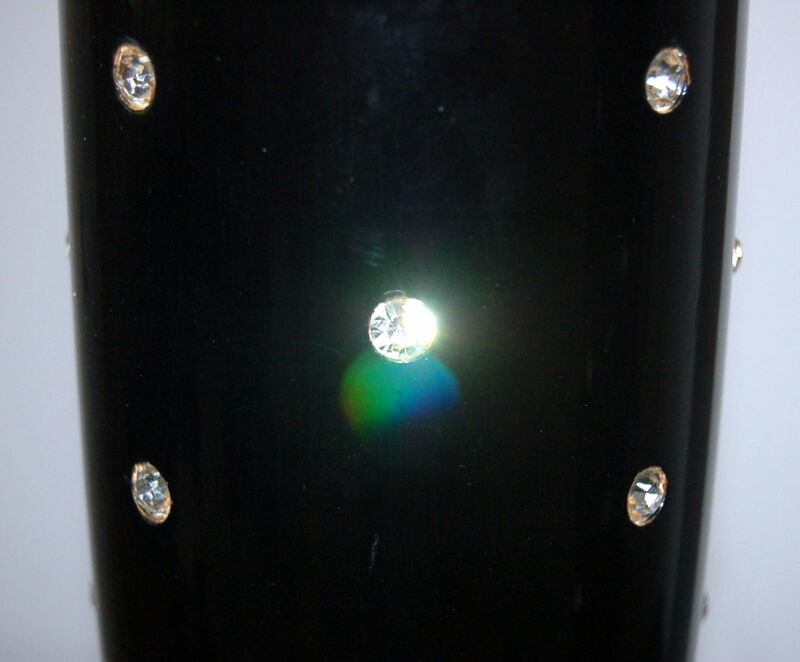 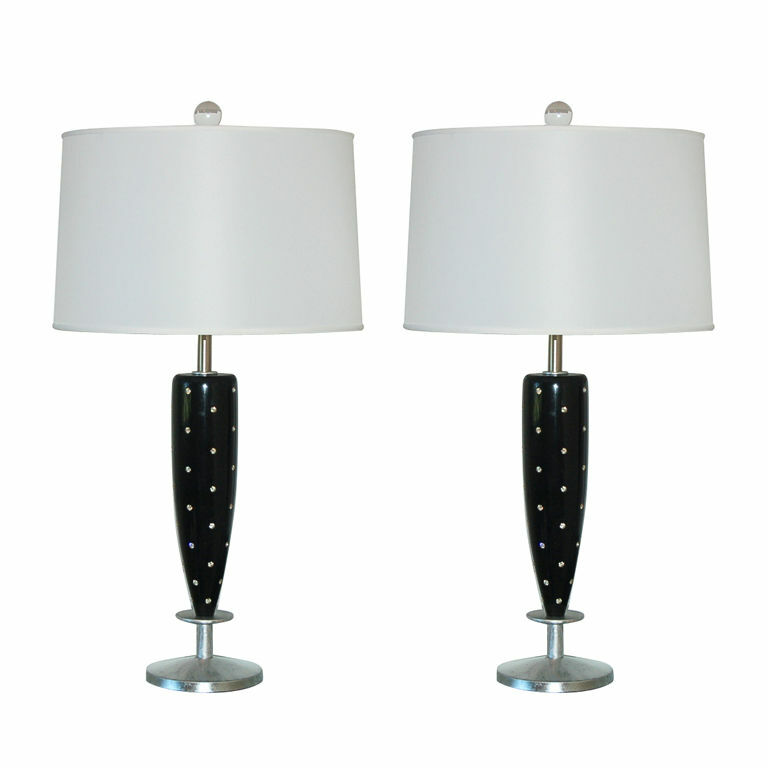 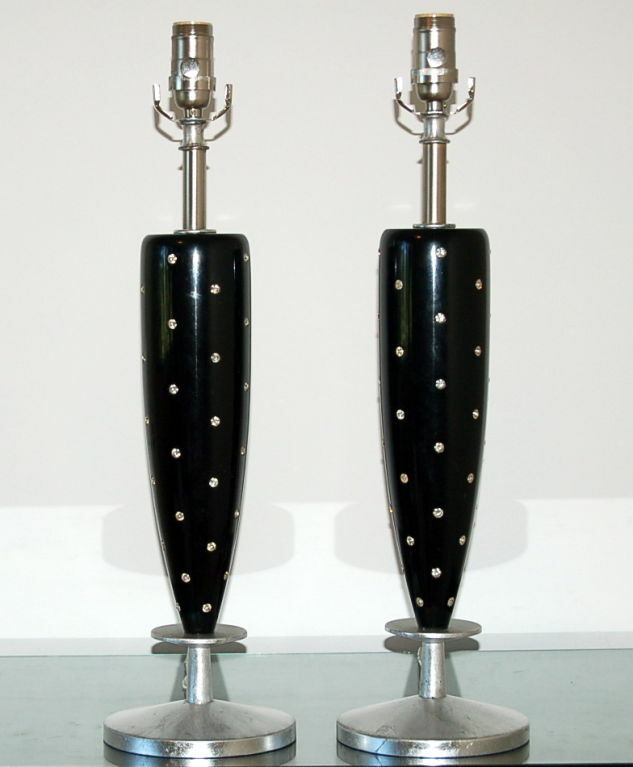 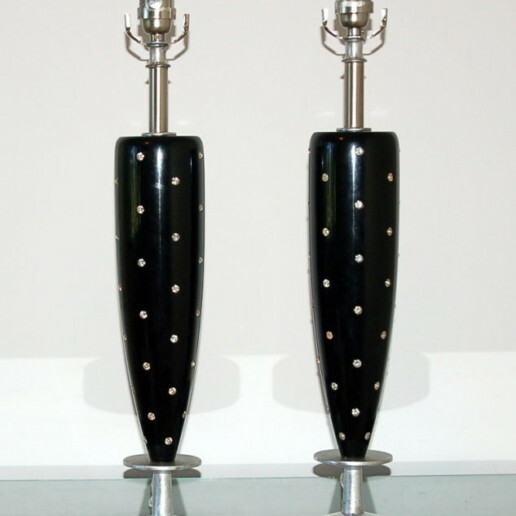 Glamorous mid-century table lamps of BLACK LACQUER studded with RHINESTONES by Rembrandt. 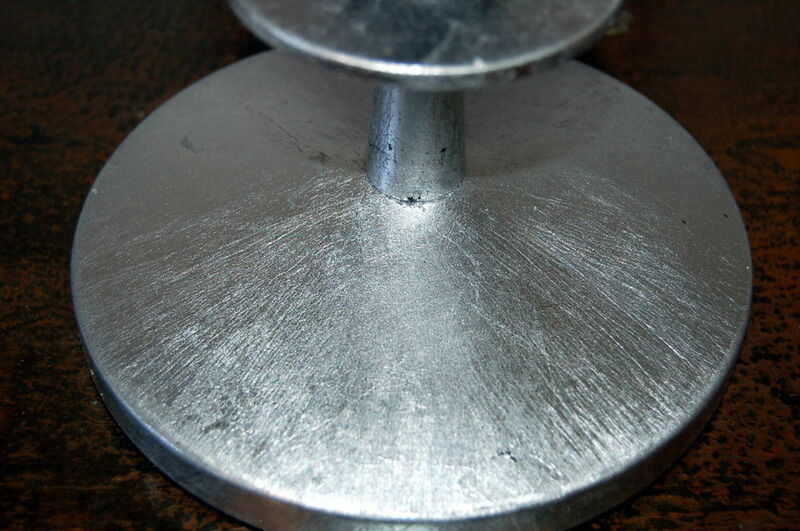 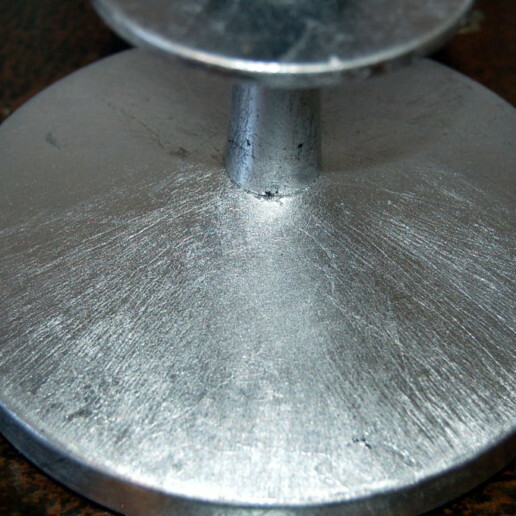 The bases are silver leafed. 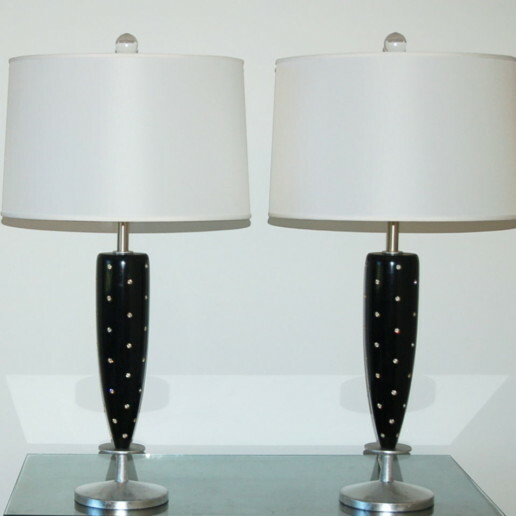 The lamps measure 26 inches from table top to socket top. 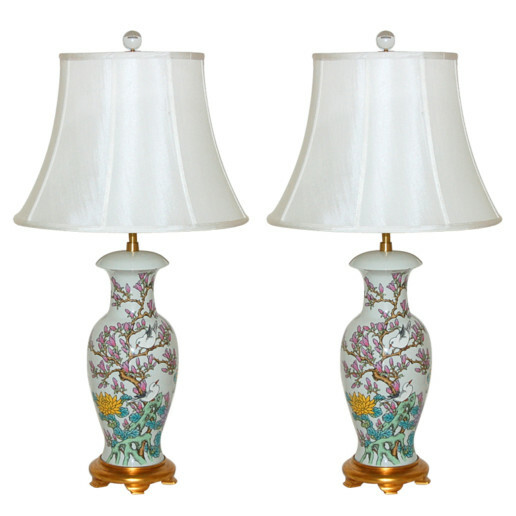 As shown, the top of shade is 32 inches high. 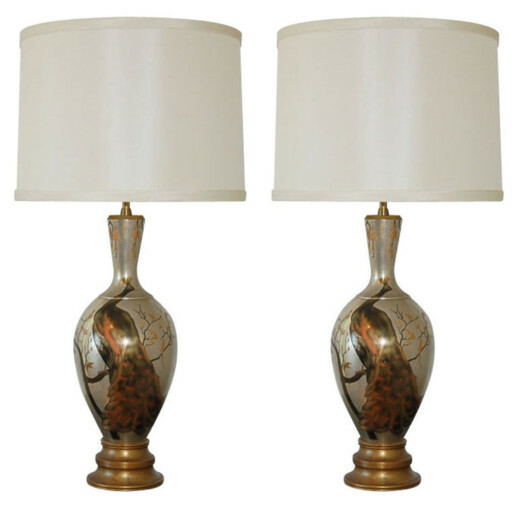 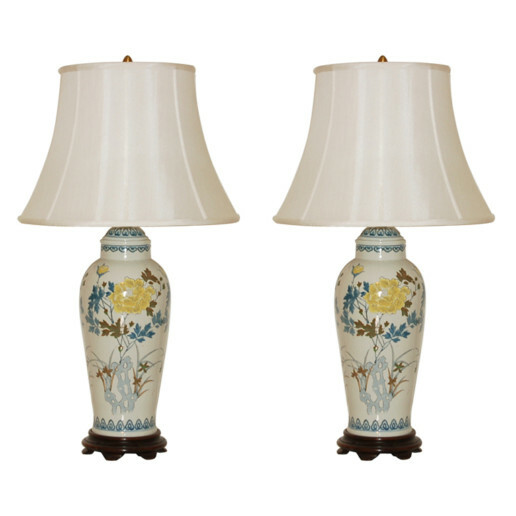 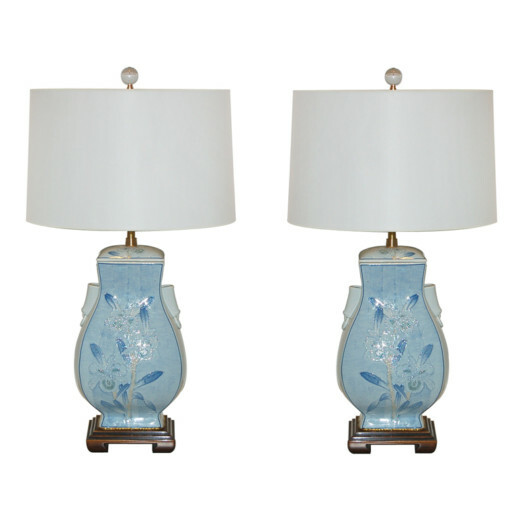 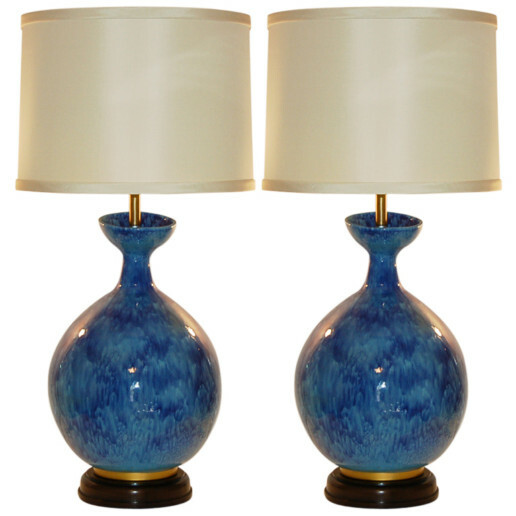 Lampshades are for display and not available for sale.